Six hospital scalpers have been arrested at the Beijing Children's Hospital in Xicheng after an undercover operation by local police. The scalpers were arrested for trading in hospital admission registration tickets that would-be patients usually have to queue up for hours for in order to be able to see a doctor. Xicheng police say they mounted an undercover operation, keeping the scalpers under observation for several days in oredr to identify they key figures and to obtain firm evidence of their activities. The scalpers were detained in an 'ambush'. 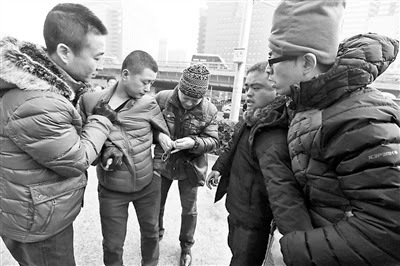 According to the Beijing Daily, the arrests bring the total number of scalpers detained in the western district of Beijing to 55. The local police commander said tackling the problem of hospital scalpers would help provide an orderly and fair environment for the common people when seeking medical treatment at hospitals. The local people will continue to crack down on these activities to ensure an orderly environment around major hospitals in the area.